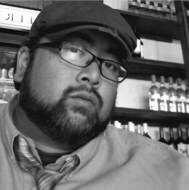 Ira Sukrungruang's essays have appeared in Post Road, Fourth Genre, Creative Nonfiction, and other literary journals. Many of his essays have been Notables in Best American Essays. Sukrungruang is the author of the memoir, Talk Thai: The Adventures of Buddhist Boy, and currently teaches in the MFA program at the University of South Florida. The one piece of fame in my father's life: a picture of him, camera in hand, as the Queen of Thailand passes by. This moment happened in Chicago, at the Thai Buddhist temple, in the early eighties. Royalty did not visit our temple often, and it seemed like all Thai people in the Midwest congregated at this former Greek Orthodox Church, clogging up the residential streets off of North Hoyne Avenue. My father was in a period in his life where he recorded everything, constantly carrying with him a Minolta X-700. On weekend excursions, he took that camera with him wherever we went and snapped pictures of my mother gathering golden delicious apples, or of me swinging a golf club, or of flowers. Lots and lots of flowers. My father was always looking for an opportunity to get rich quick. He bemoaned his time at the tile factory, and I believe he resented the fact that my mother was making more money as a nurse. He wanted something that would give him notoriety, something that he could brag about other than his golfing prodigy son. The temple photographer, a man whose name I do not remember, but whose face was skeletal with inflated eyes under thick glasses, had won top prize at a photography contest-fireworks over the Chicago skyline. He had won other prizes, too, a picture of monks meditating, a black and white photo of a little Thai girl trying to press the top button of a vending machine. This photographer was married to one of the most attractive women in temple, and my father, jealous of his success and popularity, thought that perhaps photography might bring him the same type of accolades. It was not his photos, however, that he would be remembered for. It would be this picture, taken by the temple photographer on the day the Queen visited Illinois. This photo hung in my parents' bedroom, above my father's aluminum desk. The Queen's right profile occupied the left side of the picture, blurry, as if she was part of a fading dream. But dead center was my father, in touching distance of Her Highness, clad in a blue gray suit, the same one he wore on his wedding in 1974, the only suit he owned, and large tinted glasses that made him look like a shifty poker player. And this we could not get over: his wide open mouth. One time, I was playing tennis for my high school team, and it was an important doubles match against a rival school, when I saw the love of my life then-I don't recall her name, only her freckles-come to cheer me on after her choir practice. I stood wide-mouthed at the net, until the ball struck me in the armpit and stuck. Later, my doubles partner said, my mouth could've fit a planet. The Minolta X-700 was one of the most popular cameras Minolta ever made. My father continuously bragged about its technology. He said it had a new flash metering device that automatically measured light. He spoke of exposure lock and focusing screens. He cradled the camera gently in his hands. I had never seen him hold anything so softly. My father stood still for a moment, mouth tightly shut. Then he aimed the Minolta at her in the living room, the light coming softly through the sheer curtain, draping and darkening her face, her body silhouetted. He pressed the shutter. It is an expression I have not seen from my father except for that picture. He is a man who possesses many faces, his cheeks and jowls elastic enough to display subtle degrees of emotions, including disappointment. Eudora Welty : “A good snapshot stops a moment from running away.” That was the problem with my father. He was famous for running away. I was allowed to touch the camera once. My father was usually liberal with his possessions. I could hit rocks and apples with his golf clubs. I could take his leather briefcase and make it my own. I could wear his many Buddhas around my neck. The camera, however, was off limits because, once, when he first got the Minolta, I liked the sound the shutter made-a click with a CH-and the wind of the film advance lever. I repeatedly pressed the shutter and advanced the film, shooting nothing. When my father developed the film in the camera, most of the photos were blurred brown and green and one unfocused picture of a foot. From that day on, I was not to touch his camera. Except one day at the zoo. My father had taken a picture of every animal. He was slow, waiting for the perfect still moment. But animals were animals and they operated by their own set of laws, not that of the artist. Nature photographer Frans Lanting says: “The perfection I seek in my photographic compositions is the means to show the strength and dignity of animals in nature.” My father captured a monkey with a hard-on. My father captured a turtle hiding in its shell. My father captured a bird shielding itself with its wing. My father caught the back of a gorilla. Even when the subject remained static, like the python and boa constrictor in the reptile house, he could not figure out how to negate the glare from the glass. At the end of the day, my mother suggested he take a picture of people. “Like, maybe, your son.” He complied, and took picture of me pointing at the lion. He took a picture of me messing up my mouth with a good humor bar. He took a picture of me crying because I fell. Finally, I asked my father if I could take a picture of my mother and him. Reluctantly, he agreed, putting the camera strap around my neck and instructing me to hold the camera firmly in my hands. “Just push the button,” he said. It was the last picture on the roll. A couple days later, when my father picked up the film, the picture I had taken showed only my mother. The other half of the picture was black. A yellow streak like lightning split the center. The film hadn't advanced all the way, stuck at half of the frame. My mother smiled from under her great brimmed hat. Behind her was a pond that shot high into the air. Mallards and half of a swan swam back and forth. Kids with balloons and half of a balloon were in the distance. Some of my mother's shoulder was cut off. I could see part of my father's right hand. We were on a golf course-we often were then-waiting for the group ahead us to finish the hole. It was a rare occasion of quiet. My father polished the lens of the camera. I sat beside him in the golf cart. He said I shouldn't wait for something to happen; I should make my mind up and just do it. I'm sure he meant to give me kind golfing advice, something on par with “Trust your instincts.” He might have said I love you afterwards; maybe I'm wrong about that. But then he set the camera down and he squeezed my neck. I could feel the roughness of his skin, the hardened calluses under his middle finger and thumb, and the easy pressure of his hand. He told me other things, too. I have forgotten them though. I feel like a wide open mouth. I have been staring at the photo with the Queen for a while now-the actual photo and the one my mind has constructed. I am looking beyond it, looking into my father's wide open mouth. The photographer sees something-in this moment, in these few seconds-I have spent a lifetime trying to figure out. This is not about the picture anymore. Not about my father's mouth. Look carefully, the photographer is saying. Lean in close. It is there. At temple, after Sunday school, my father enrolled me in a photography class run by the temple photographer. I didn't want to do it. I would rather have played football with the other Thai boys. I would rather have been enrolled in kick boxing down the hall. I was one of two in the class. My father sat with me, the other student. The temple photographer spoke of stillness. He spoke about photography like a monk talks about meditation. He said your hands can never shake. He said your eyes can never leave the viewfinder. He said a photographer, a real photographer, spends most of his time in the frame of a camera with one eye open. There was sadness in his voice when he said this. He handed me his camera, heavy and bulky, a brand I don't recall, but something German. My father spoke up. “Minolta is the best,” he said. The temple photographer nodded and smiled. He told me to aim the camera at my father and focus in on his face. “Tell me when your father becomes clear,” he said. My father remained fuzzy around the edges, his features blurry. I turned the lens back and forth. A bit here. A twist there. I did the best I could. When I handed the photographer the camera, he looked through the viewfinder and shrugged. He said not to worry, but I should be a little softer next time. I worked at a camera store for a while that developed photos and sold equipment. The workers were divided into the photo developers and the sales people. I was a salesman because I looked good in a tie and had the gift of words. Like my father, I knew all the fancy technological terms so I could spout them at customers. It was all vocabulary though, because I didn't know how to take a good picture to save my life. My favorite cameras to sell were Minoltas. They gave wonderful sale incentives. Sell a Minolta advanced point and shoot and get $20-$50 on your check. No other company could match Minolta's incentive, especially Canon cameras, which gave you nothing. A lot of the time, the photo developers would show us some of the wilder pictures-naked spring breakers, disgusting pranks, drunken costume parties. But my favorites were always the pictures of people caught unawares. Their mouths were always slightly parted. In those seconds, what raced through my father's mind? What would it be like if I were king? Or perhaps, it was a lingering thought. Perhaps, at that moment, what weighed his hands down, what made him slow at the camera trigger, was the thought that I am here in the only suit I own, a tile chemist, not the rich entrepreneur I imagined I'd be, and my wife makes more money than me, and my son who loves me with his entirety thinks I am a legend, a superhero, and I'm afraid one day he will discover I am only a man with hard hands and wispy, impossible dreams. My mother, too, has a picture with the queen. It's a black and white photo, and she is in front of Her Majesty, in her twenties, kneeling and receiving her degree from Siriraj Nursing School in Bangkok. I found it in a box just yesterday. It has never been hung up. The Queen's picture is everywhere in Thailand. She is on billboards along roads. She hangs in every business establishment. She is in every house. Every Thai newspaper and magazine will publish at least five photos of her in each issue. She is often the focal point, the center of the frame. Her smile never tires. Her lips are always red. Her hair is immaculately in place. One picture exists, however, where she is not the point of the picture, where she is just the foreground, and my father and his mouth have usurped her photographic power. This picture the queen will never see because the temple photographer made only one copy and gave it to my family. He died shortly afterwards. Cancer. His beautiful wife took over his position, with her red nails and long hair and even longer legs. She wasn't as good. She spent too much time posing people and not enough time searching for moments. My father laughed at the photo. He laughed and it echoed in our bi-level. He laughed and it rattled the pans in the kitchen. We laughed with him. “Don't I look good?” he said. “The best,” we told him. “…like an orangutan,” my mother said. “…like a golf hole,” I said. “I look stupid.” He laughed again, so hard he began to cry. “Why didn't you take a picture?” my mother said. He went on to say he could feel the wind from her walk, and it felt like a blessing. No, I am wrong. I have seen that look on my father's face one other time. When he left us. The snow covered the driveway. The brake lights lit the snow. The exhaust of his car billowed into the night sky. He had packed his car, and the two of us stood in the front hall, facing each other like cowboys before a draw. Only he couldn't meet my eyes. Then that look. Mouth like an egg.